From 11:30 am to 1:30 pm, visitors can learn from historic re-enactors from the Hearts of Oak Militia about the challenges New York and Westchester faced during the turbulent times of John Jay, Benedict Arnold, Ann Miller, Aaron Palmer and George Washington. 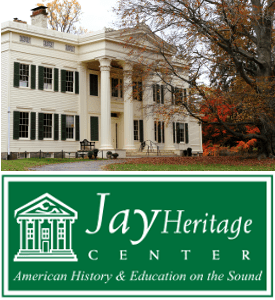 There will be a Fife and Drum Corps and opportunity to stroll the historic grounds where John Jay returned to celebrate the treaty he forged to end the Revolutionary War. Food trucks will be on hand offering their wares. At noon, CBS anchor and Yonkers First Lady Mary Calvi, author of Dear George, Dear Mary: A Novel of George Washington’s First Love, Mary Philipse will be on hand. At 1:45 pm at the Carriage House the Honorable County Executive George Latimer will introduce Revolutionary Westchester 250 Director Constance Kehoe and Westchester Historical Society Executive Director Katie Hite. 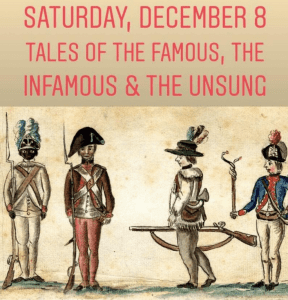 Tales of Adventure, Espionage and Patriotism at the Center of the Fight for Independence with Irvington and Revolutionary Westchester historian Erik Weiselberg. 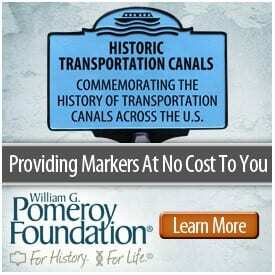 For more information, click here or email 1776RW250@gmail.com.